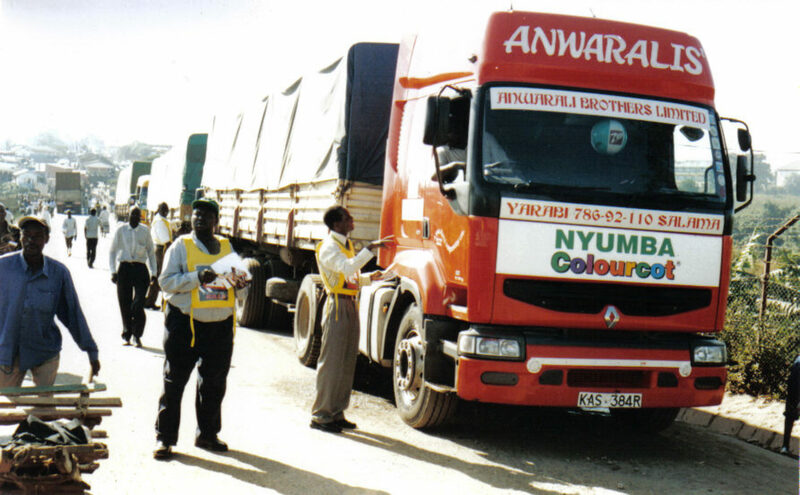 In East African countries, modern trucks transport goods in steel containers from landlocked countries to the port of Mombasa as slow as if it were by horse and buggy. Average speed:12 kilometres per hour. Nowhere in Africa is the logistic performance as bad as in East Africa, according to the World Bank. The Northern Corridor is the busiest transport route in East Africa, providing a gateway through Kenya to Uganda, Rwanda, Burundi, DR Congo and South Sudan. Because of inadequate infrastructure and inefficiency, the corridor is characterized by long transit times and high transportation costs. According to a report by Trade Mark East Africa in April 2016, 64 per cent of the roads of the Northern Corridor are in "poor condition". Red tape, dilapidated roads, congestion, the threat of highway robbers, the time wasted queuing for customs and police checkpoints are all bumps on the road to create more regional and international trade, effective agriculture, more jobs and better mobility for its citizens. And so in these years, the countries in the East African Community are making regional efforts to make transport cheaper, faster and smoother in the Northern Corridor. ‘‘East African Trucker’’ focuses on the seldom addressed issue of good infrastructure as a key stepping stone towards sustainable economic growth. The web doc will follow the trucker on his ten-day journey from Uganda to the transport hub and port city of Mombasa in Kenya. The story is designed as a web documentary and combines text, video, graphics, maps and stills. It is primarily designed for mobile, and the story is presented to the reader as the “diary” of the truck driver we are following. Each chapter represents a couple of days in the truck driver’’s life on route from Kampala, Uganda, to Mombasa, Kenya.